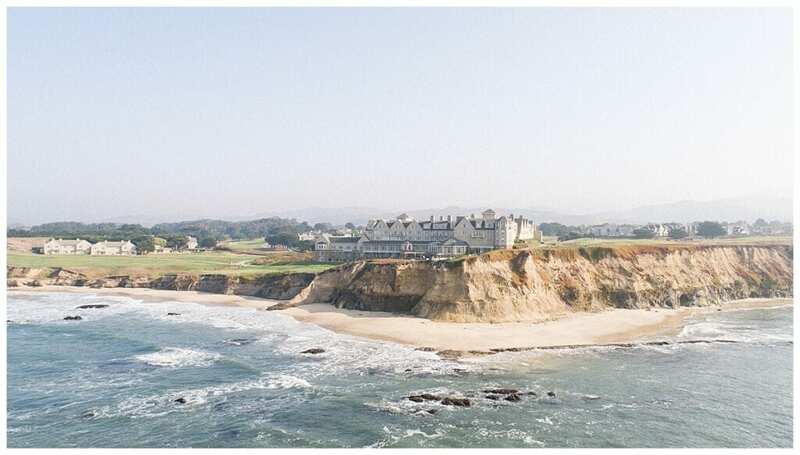 The Ritz in Half Moon Bay is one of the most lavishly glam hotels perched on a cliff overlooking the ocean. 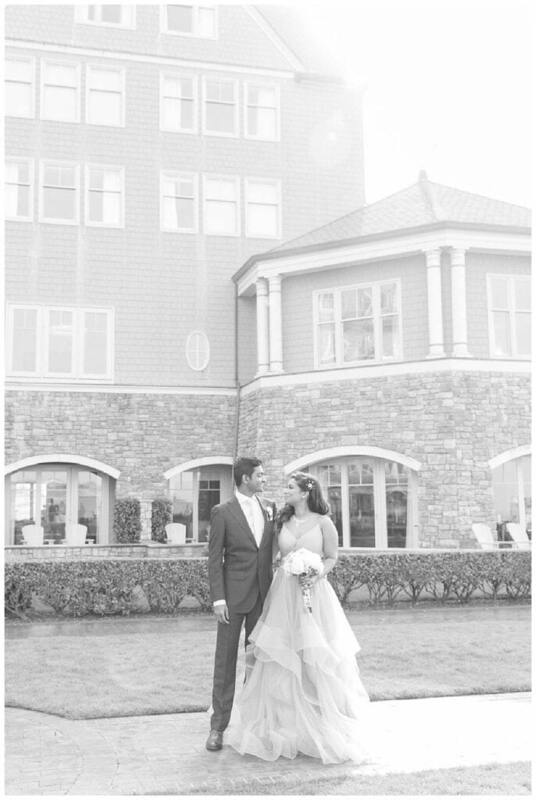 The castle by the sea is nothing short of inspiring and elegant. 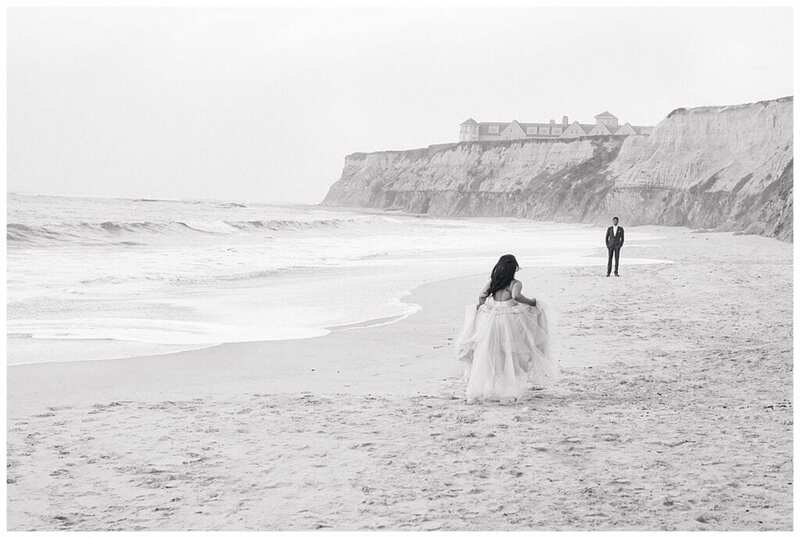 Combined with its breath taking views and the salty ocean, being there almost feels like you are in a Monet painting. 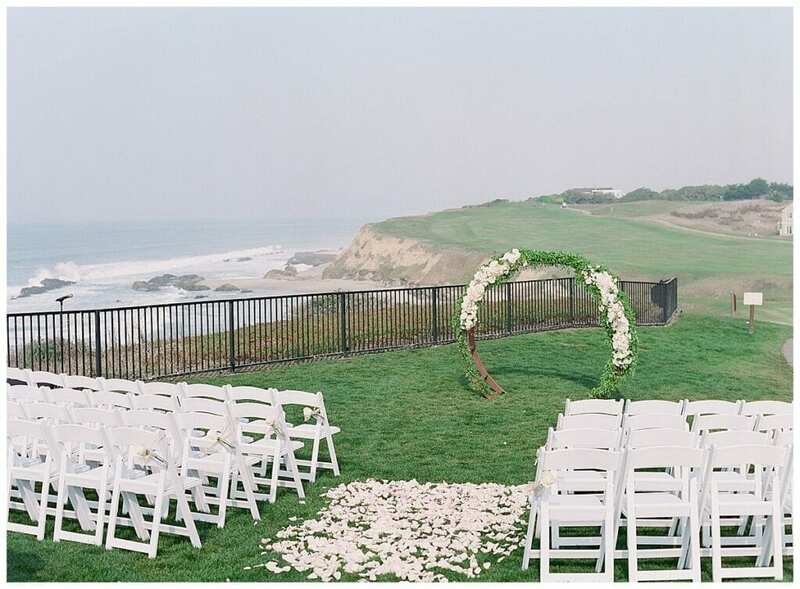 It’s no wonder why this will always be our favorite Bay Area venue to shoot at. 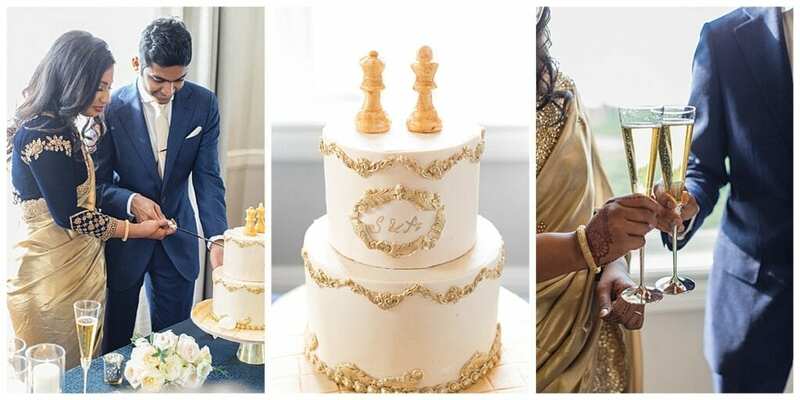 Shanmuganathan and Amina first met at a chess tournament, both being chess players. 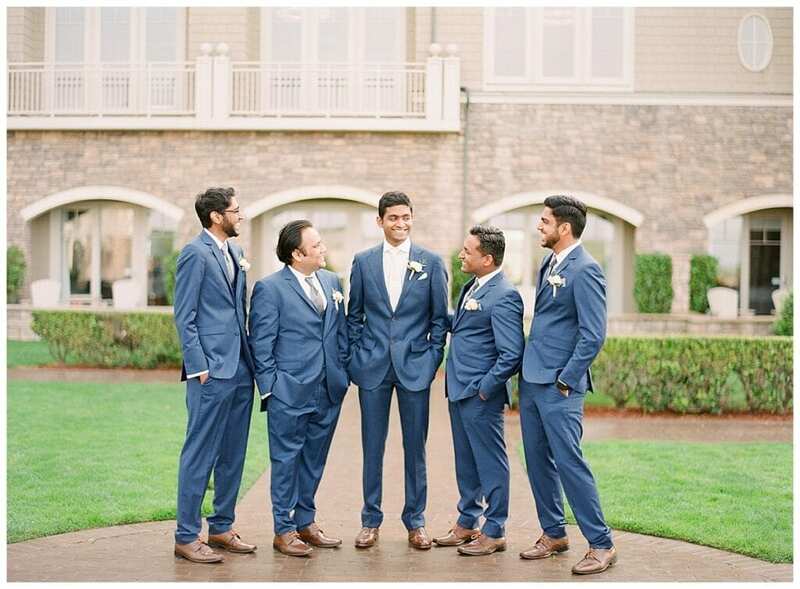 They became friends over the years and started seeing each. 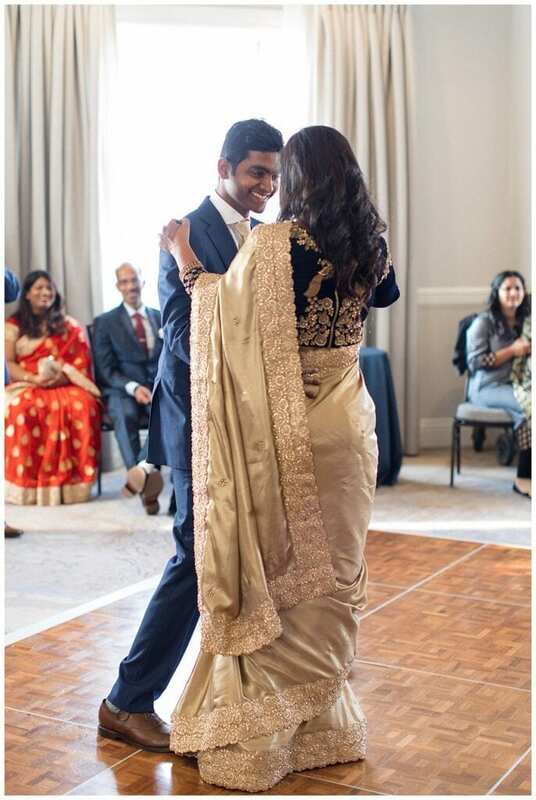 It was quite a journey, a long one too! 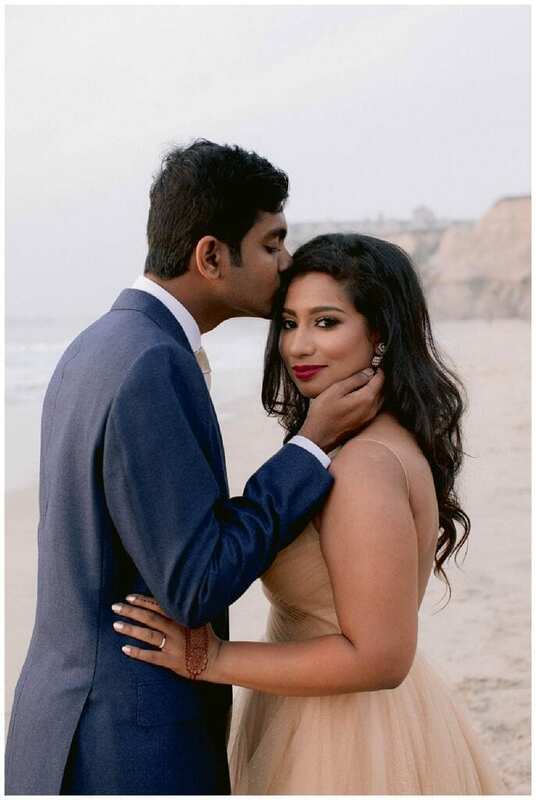 Their Courtship started out more as mutual friends but over time their friendship grew into love. 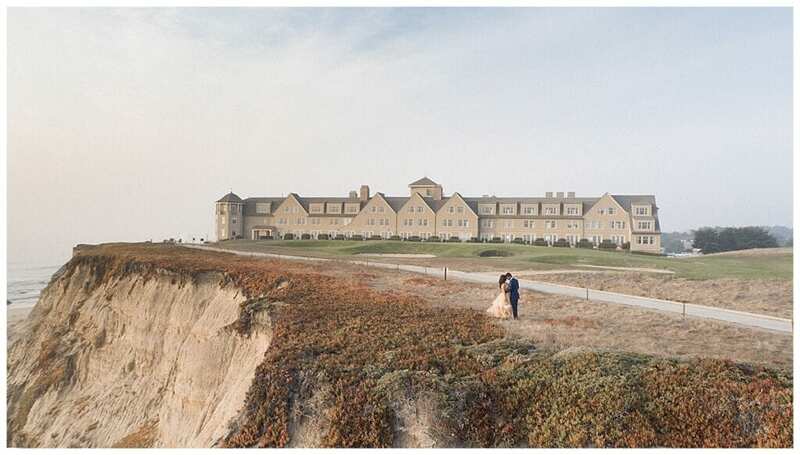 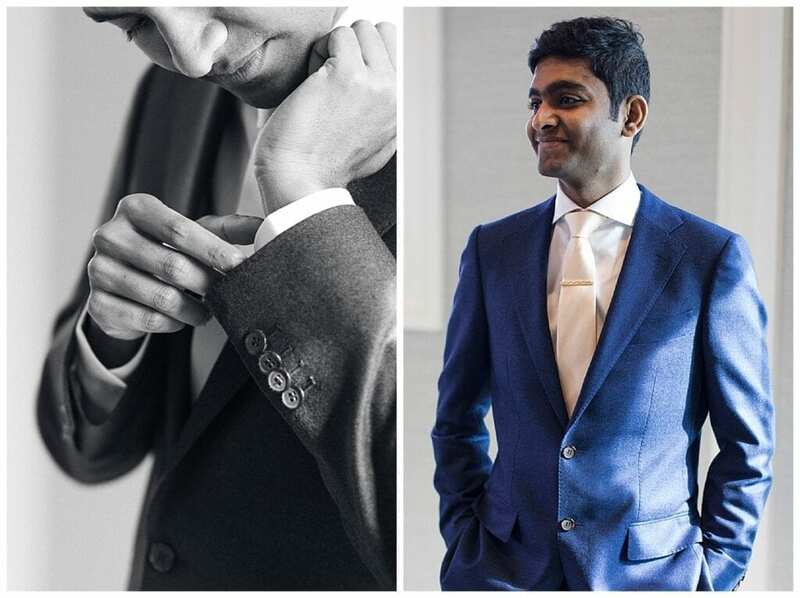 The couple eventually got married last November at the Ritz Carlton in Half Moon Bay. 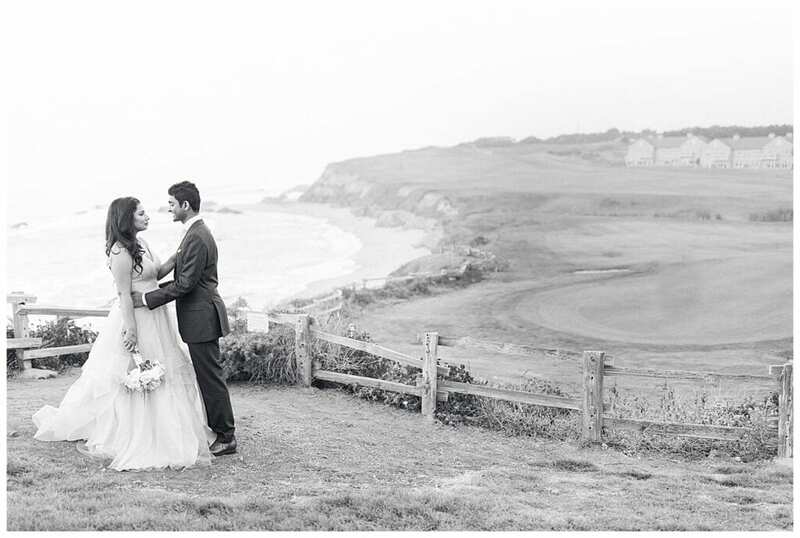 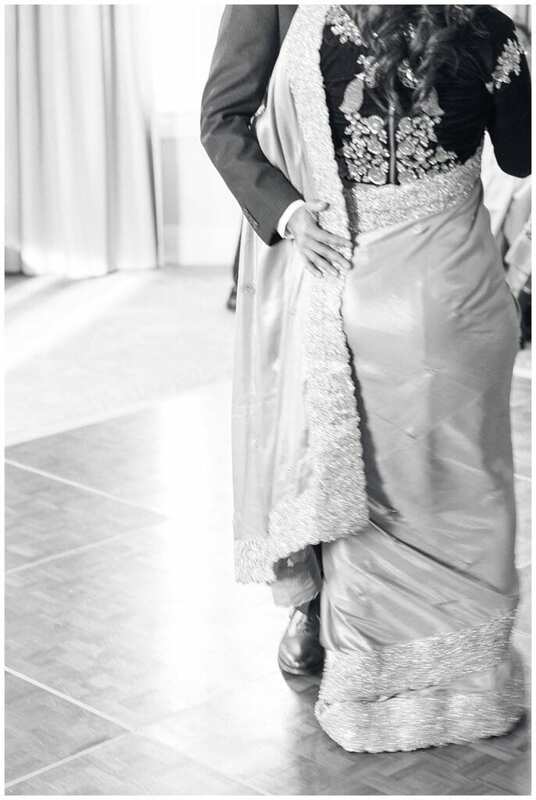 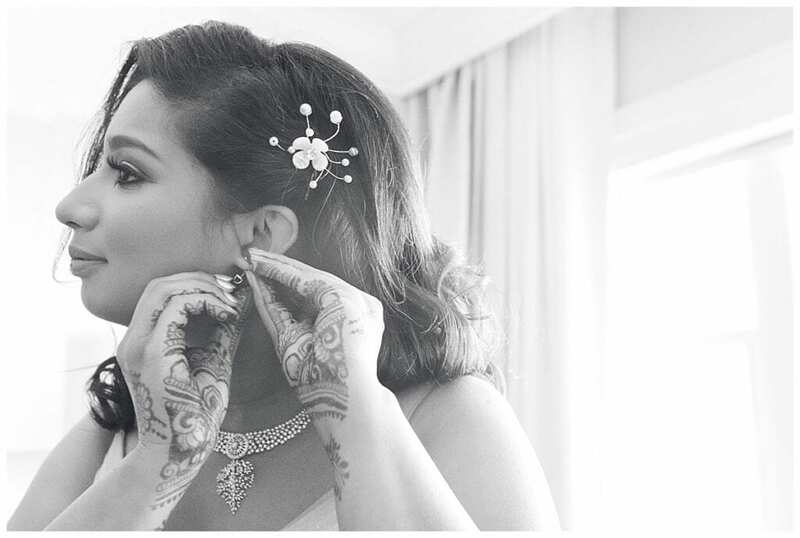 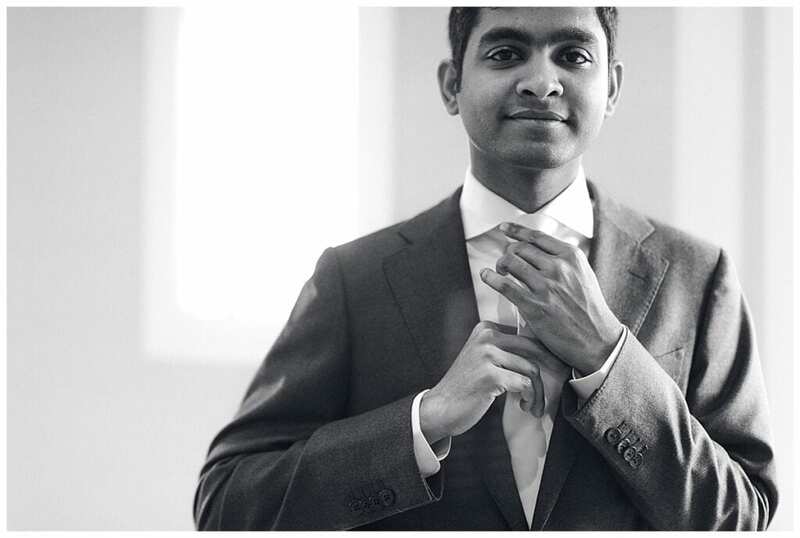 The inspiration Amina and Jammu’s wedding was driven by their desire to be married by the ocean. 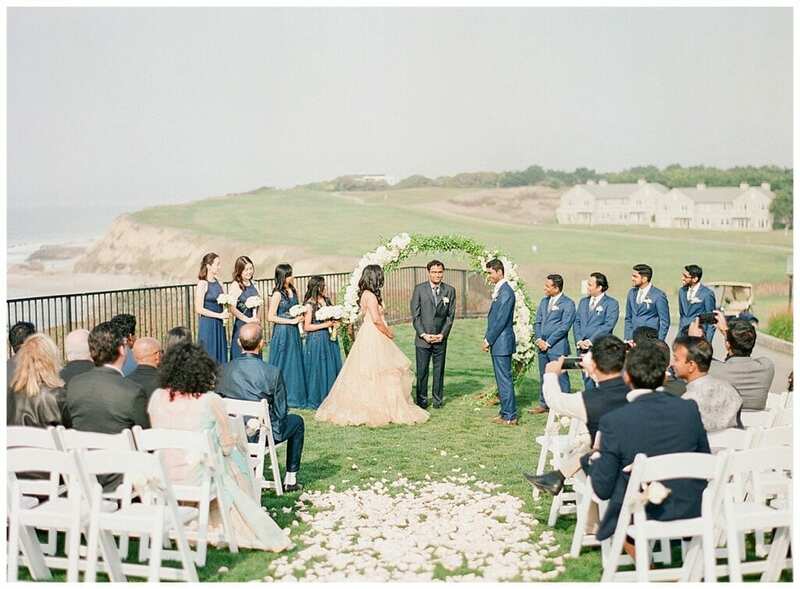 Inspiration and a color palette was driven by the blues of the ocean, the golden sands and sunset, the white fog and the unique ground cover. 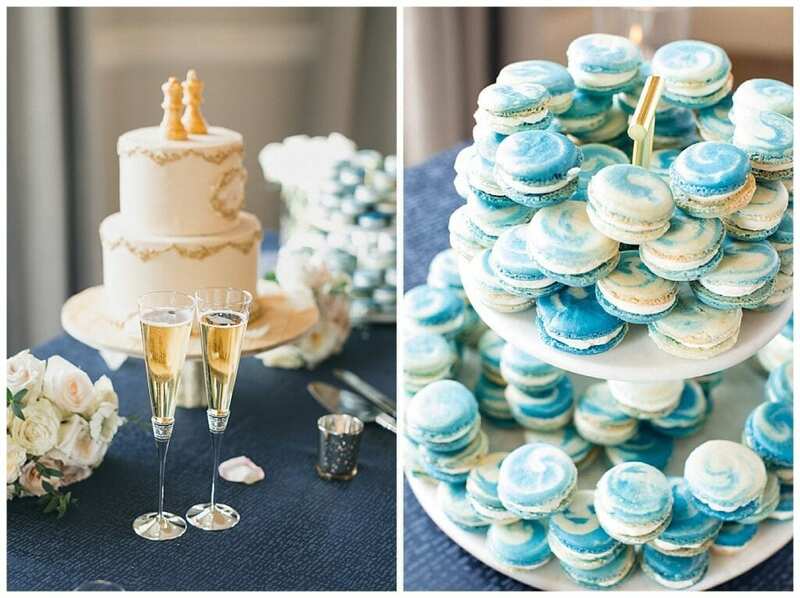 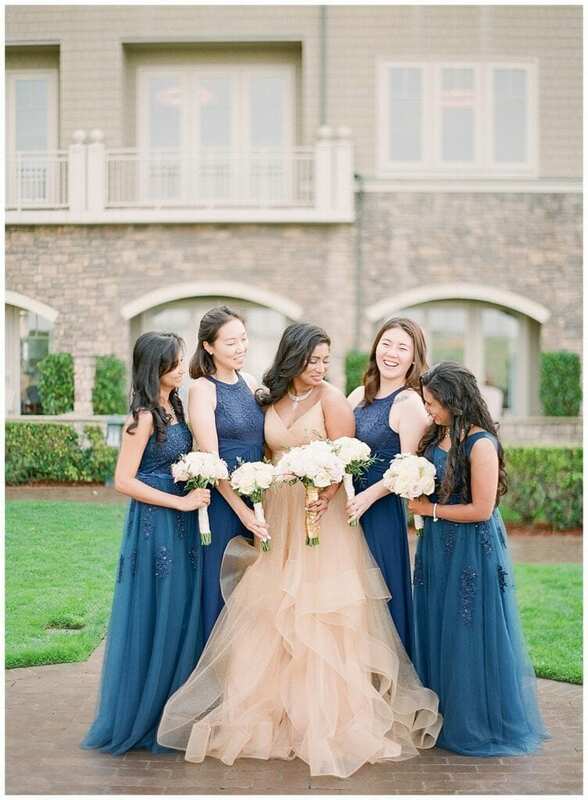 They had gorgeous accents of navy and gold with white and green as their secondary colors. 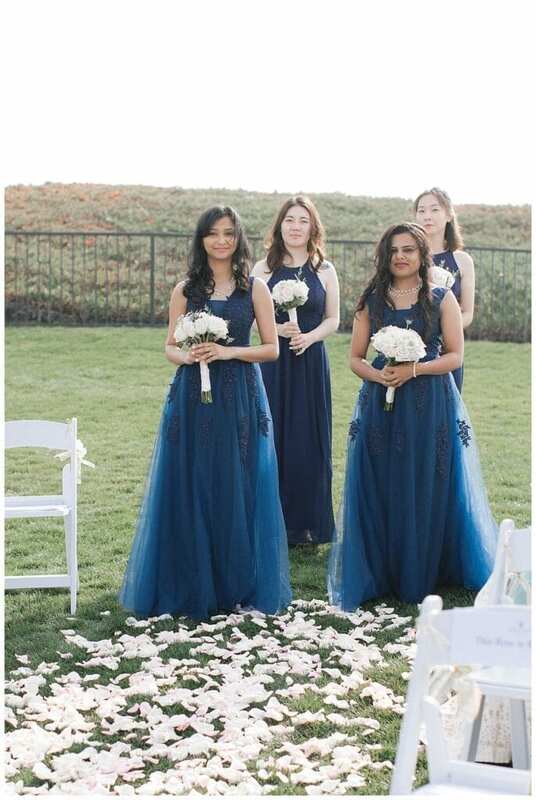 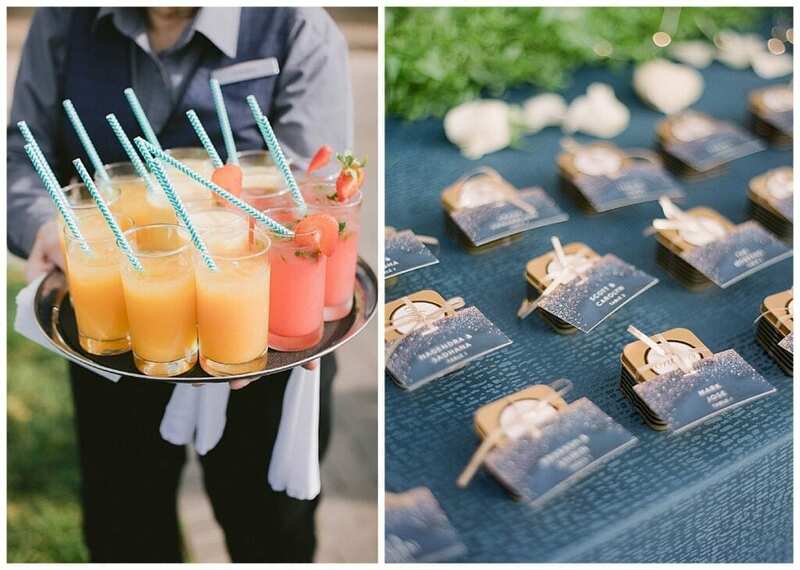 Since it was the end of fall season almost working its way into winter, wedding a little bling brought out the beauty and contrast in the dreamy atmosphere outdoors. 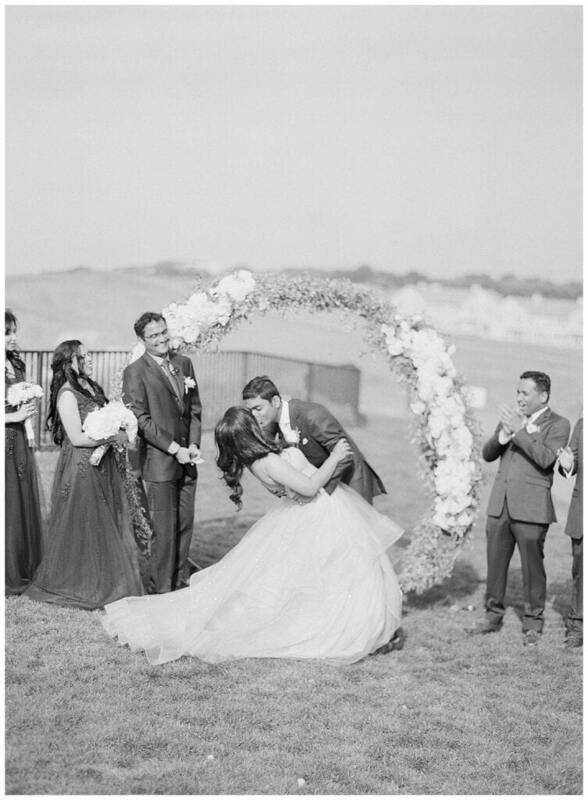 Their wedding was a true extension of the couple’s personality. 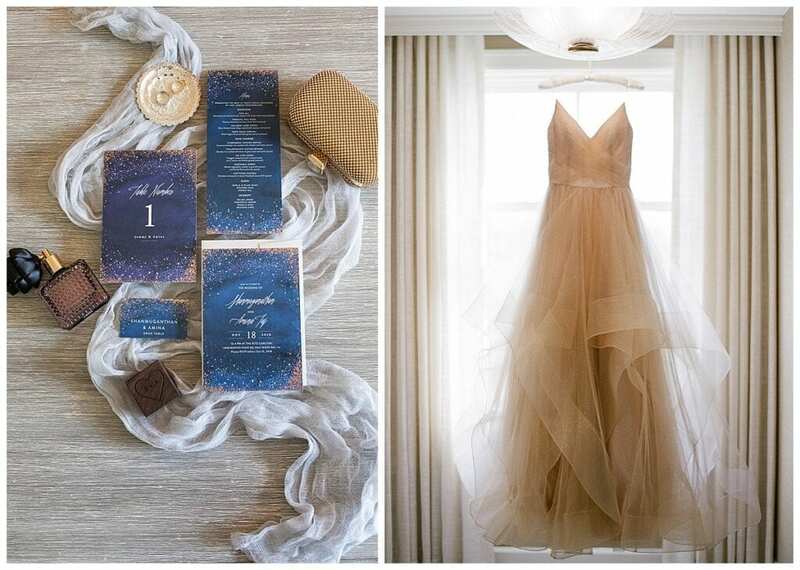 They wanted it to be minimalist, simple yet bold where it needed to be. 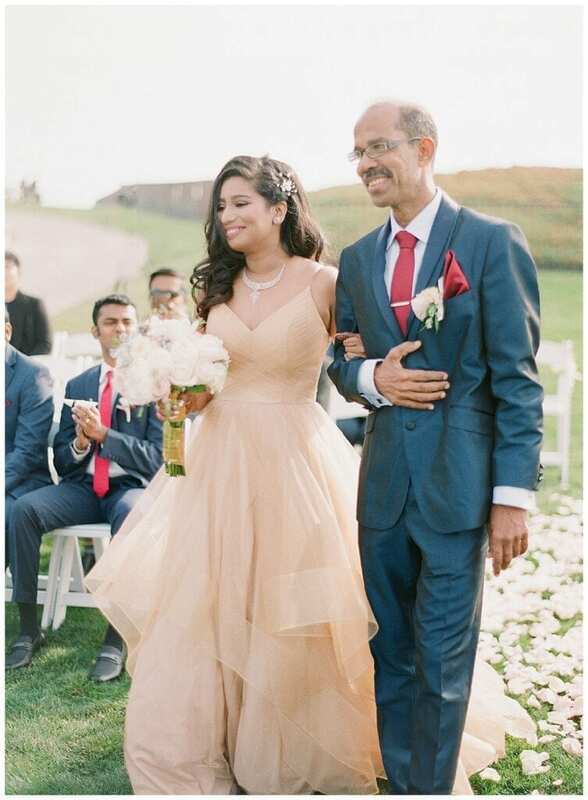 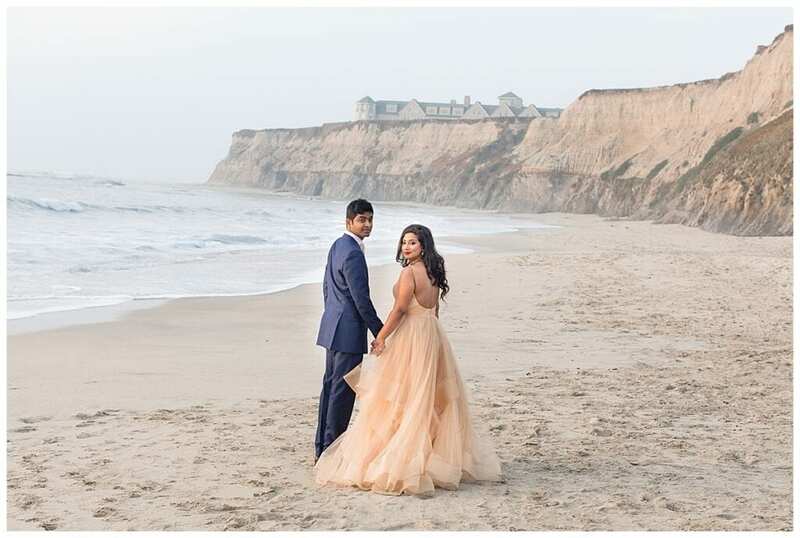 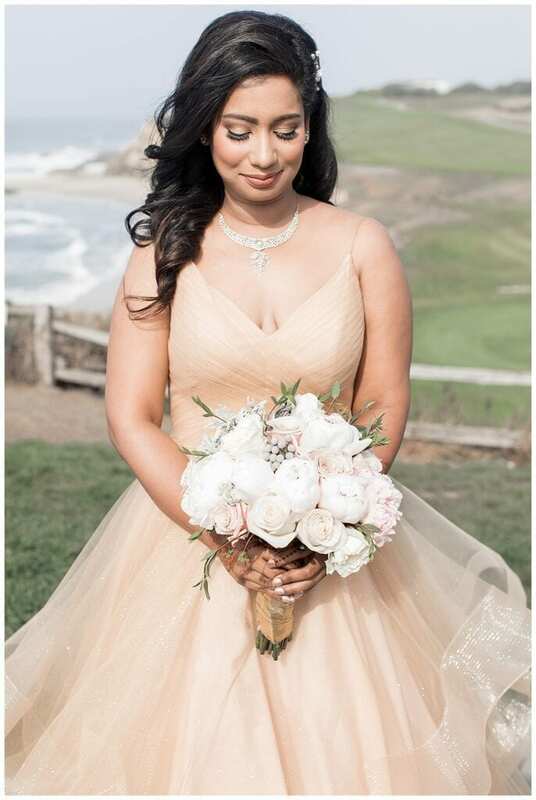 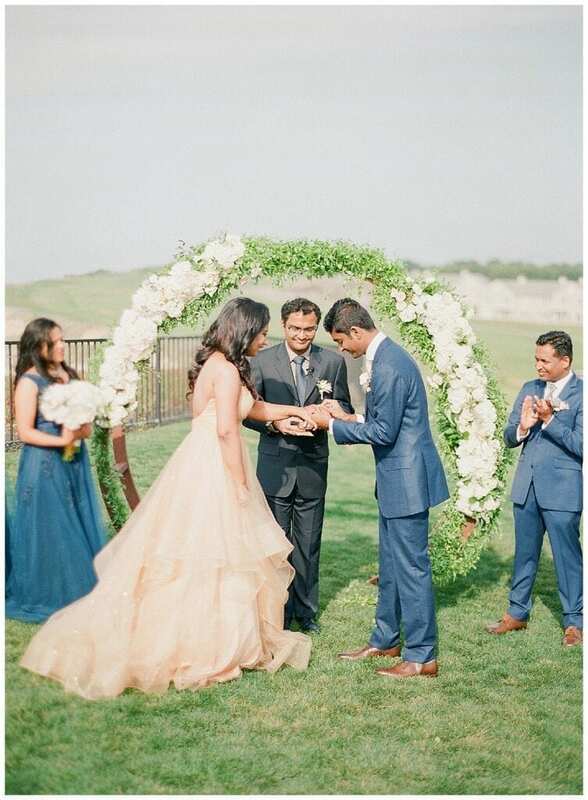 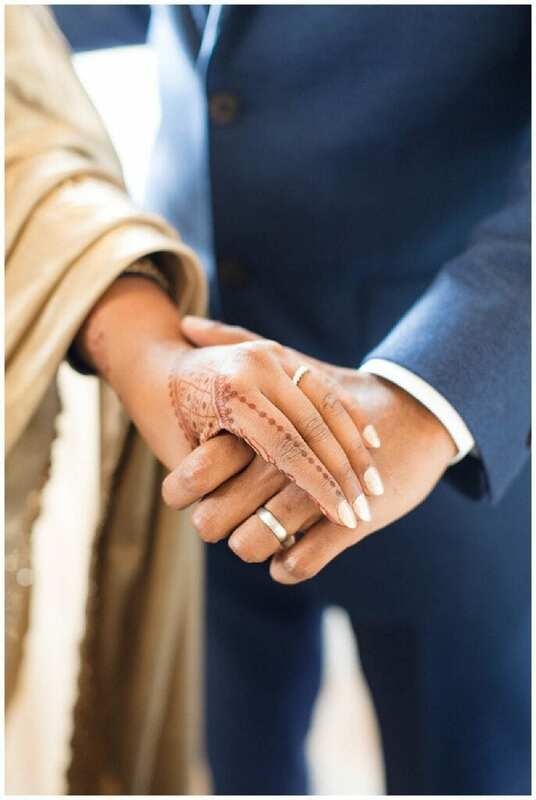 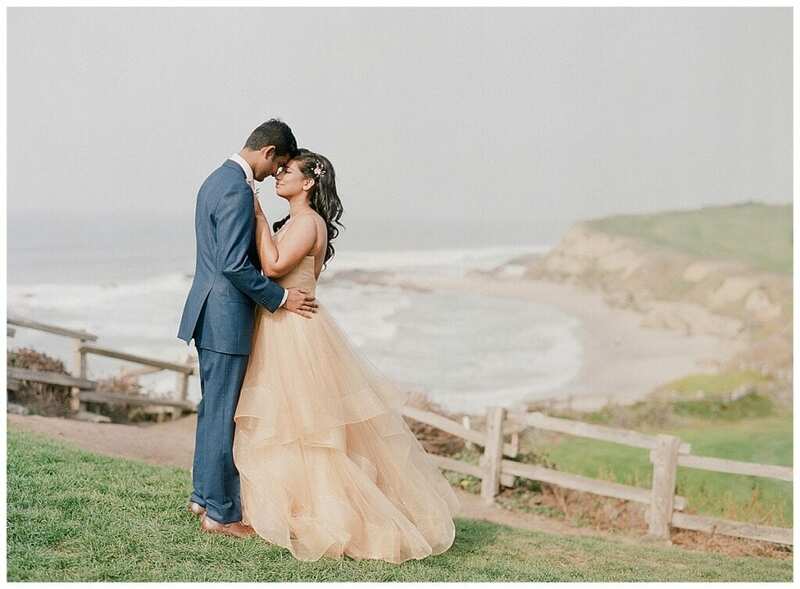 To sum up, it was the beach, the sand, the sunset hues and everything nature with a mild touch of their Indian cultural roots that inspired the couple in creating their picture perfect fairytale cliffside wedding.